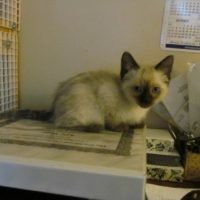 I started breeding in 2007 and currently have kittens living in these areas: Lower Michigan, UP Michigan, Wisconsin, Minnesota, South Carolina, West Virginia, Iowa, Ohio, Indiana, Illinois, Georgia, Florida, Texas and Jerusalem, Israel. 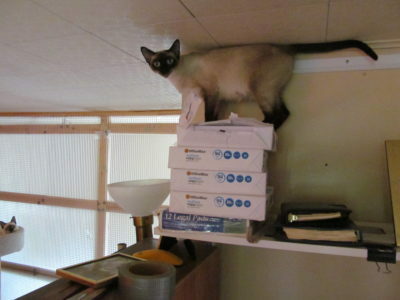 One moved to China when the owner graduated college. 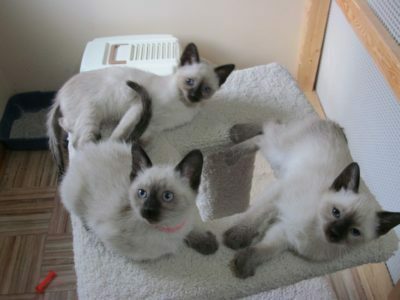 All were picked up in my home. 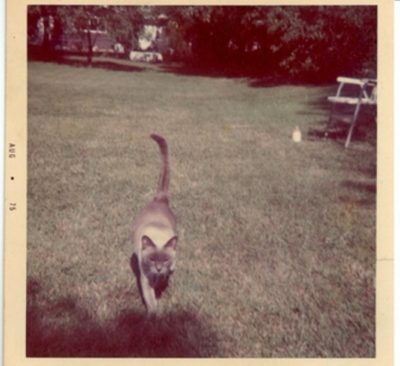 In 1969 I received a one year old gray cat from my aunt’s neighbor that didn’t want her because she was pregnant… it turned out that there were too many pronouns in that sentence. 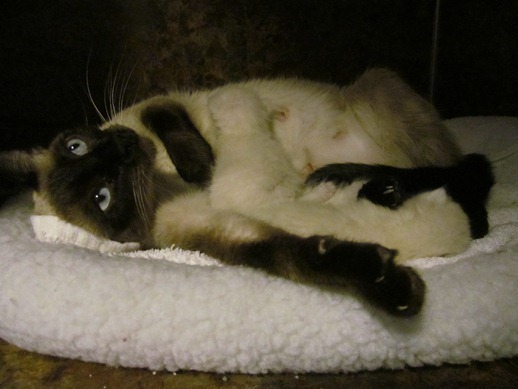 I assumed that the neighbor was pregnant and no longer wanted the cat… wrong! 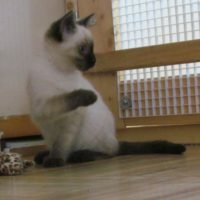 The gray cat was pregnant! 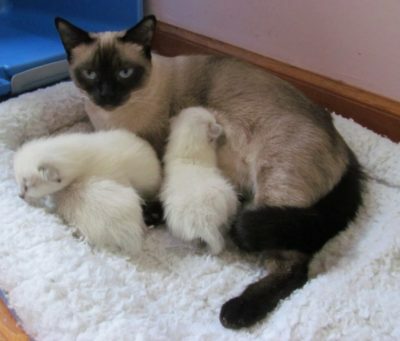 So she had her kittens and we rehomed all of them. 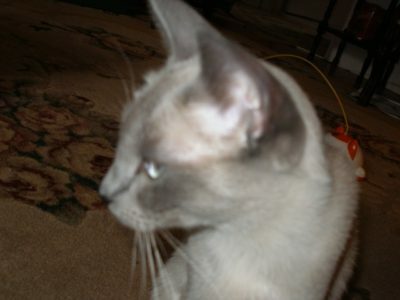 I took her to the vet to be spayed and was told that my gray cat was indeed a Blue Point Siamese. 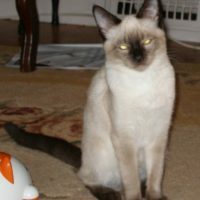 She was the best cat ever. 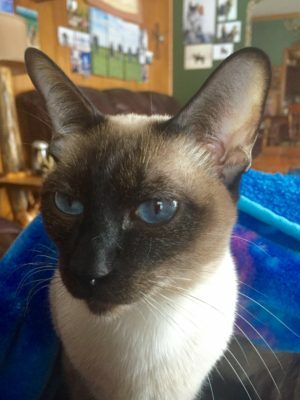 She loved everyone and always wanted to be in the same room as her people, and was so friendly that she would jump in a strangers lap, walk up their chest and look them in the eyes. 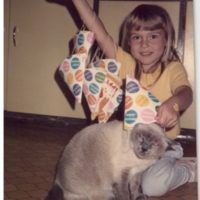 She lived until late 1989 – she was 21 years old. 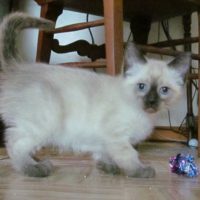 I still miss her. 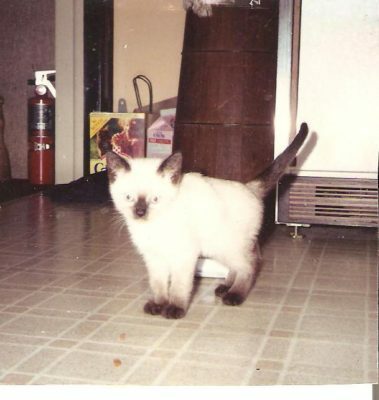 I was never told her original name, so I called her Katz. 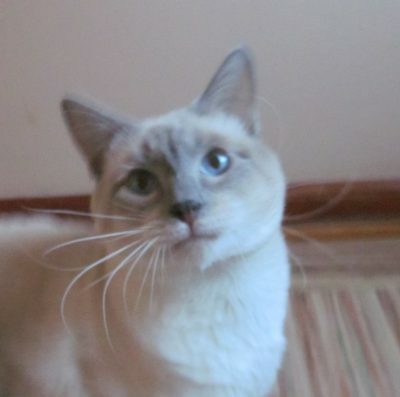 My cattery is named in her honor. 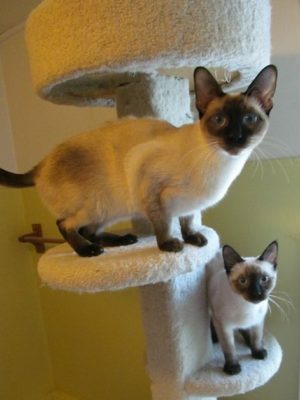 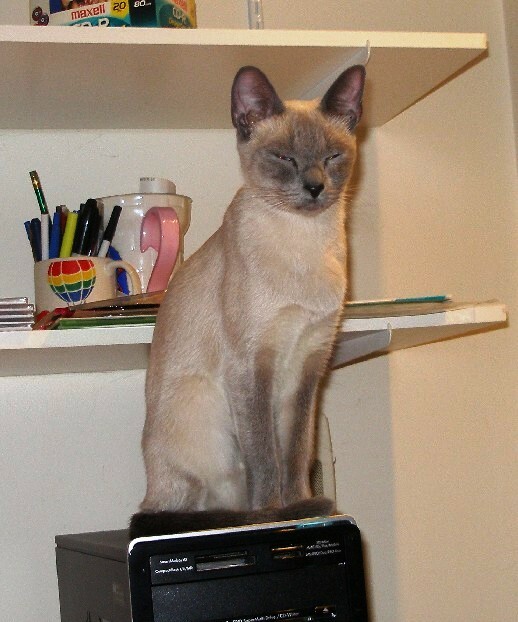 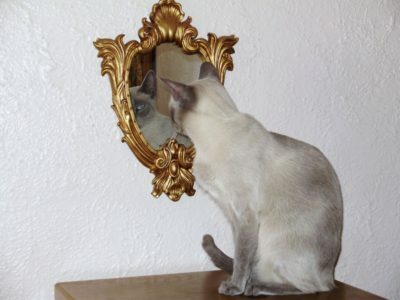 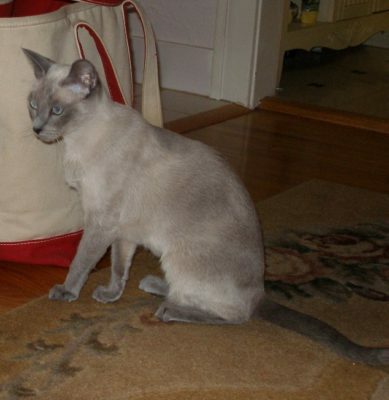 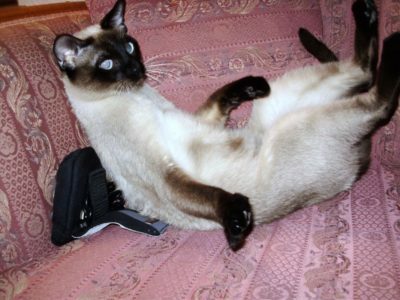 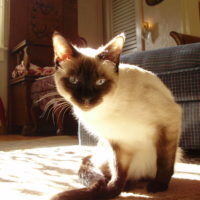 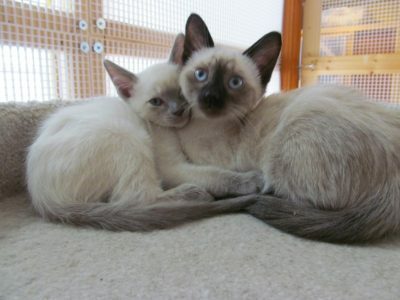 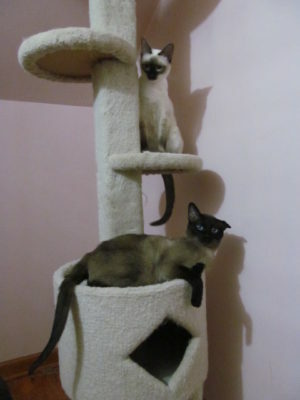 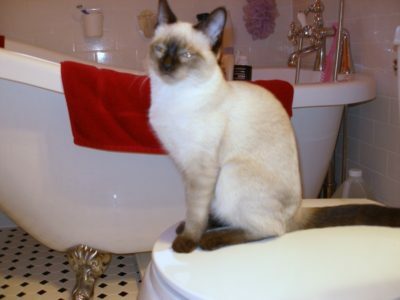 Molly was my daughter’s cat when she was growing up – we could not find many Siamese near where we lived. 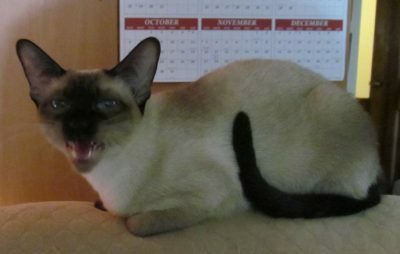 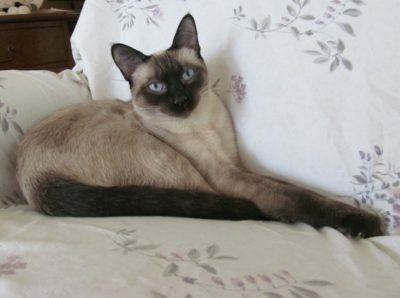 We were told she was ¾ Siamese + ¼ Himalayan. 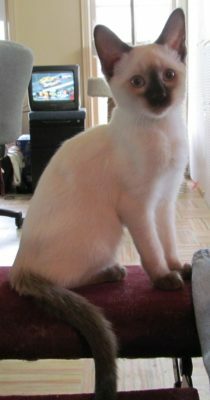 She looked to be a Chocolate point here but she darkened as she got older. 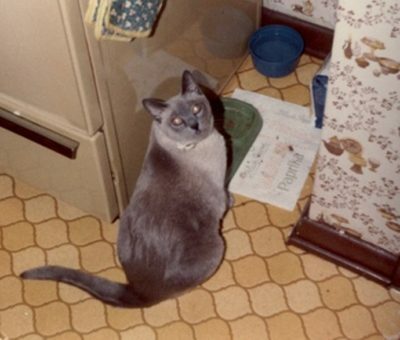 Molly was a one person cat and pretty much preferred Sarah – always followed her around and slept with her. 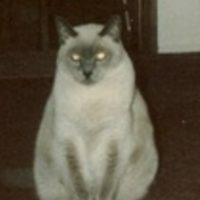 She lived for 17 years. 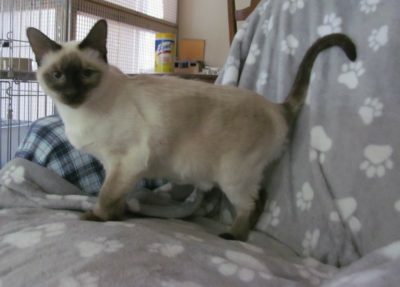 We are trying to locate more photos of her. 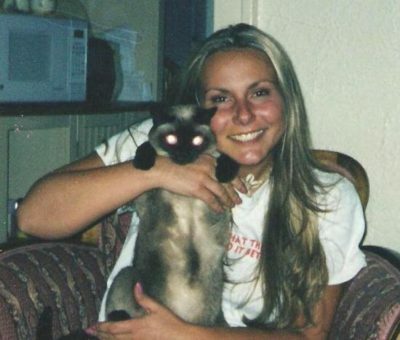 In this photo my daughter Sarah is 21, Molly is 11. 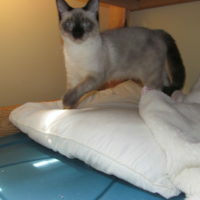 Maggie was the start of the cattery. 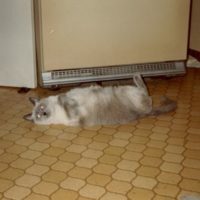 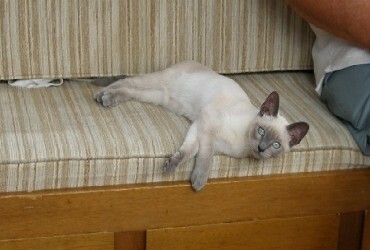 She was a beautiful Blue Point that had Seal, Blue & Chocolate kittens. 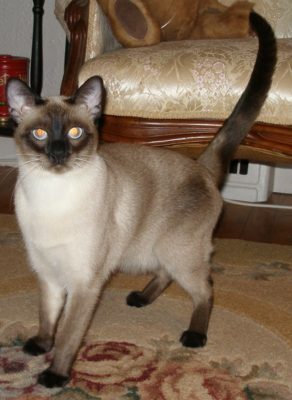 She retired from breeding at 6 years old. 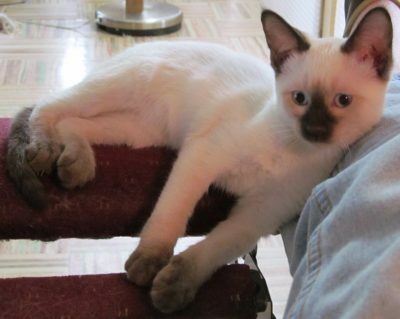 10 Weeks Old… ALL BOY! 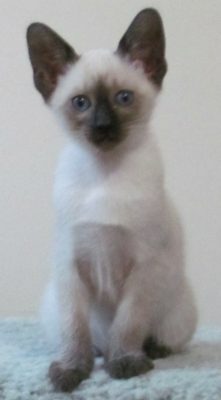 Traditional Applehead Seal Point & daughter of Heidi X Theo from Jan. 2011 litter we kept… our 1st home-bred female. 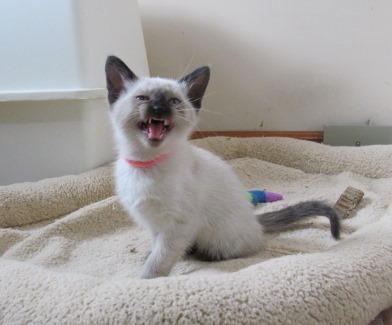 She has a soft voice like her mama but always has an opinion. 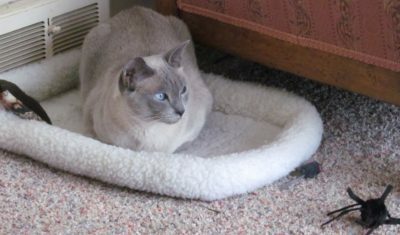 Theo is living the GOOD LIFE in a Centennial Farm house in northwestern Michigan. 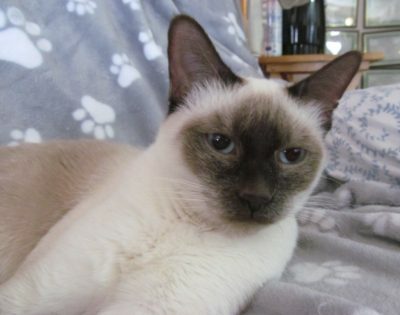 Willow is living the LAP LIFE in the same Centennial Farm house as her sire Theo in northwestern Michigan. 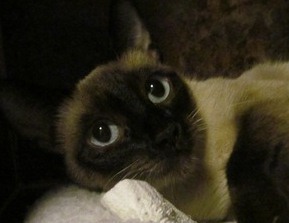 Willow was born to Lulu X Theo 7/7/12. 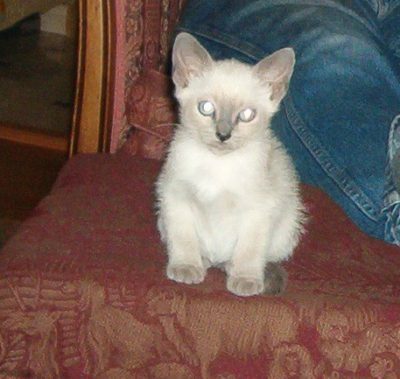 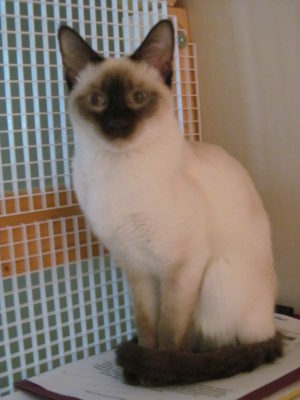 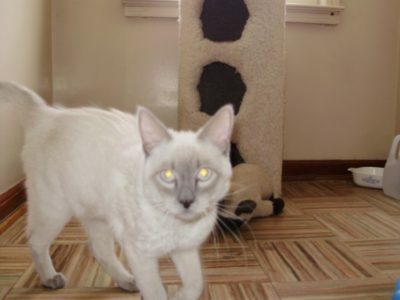 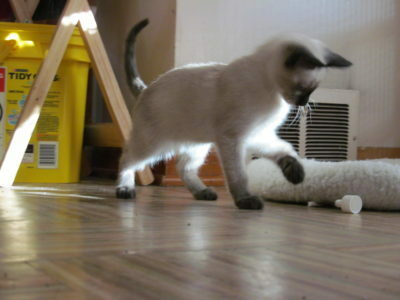 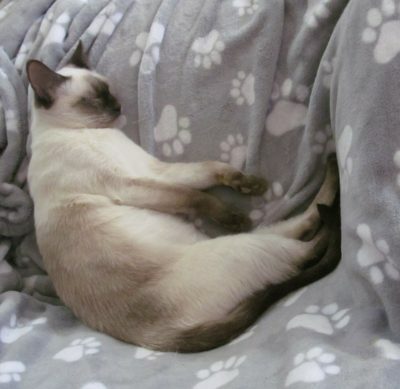 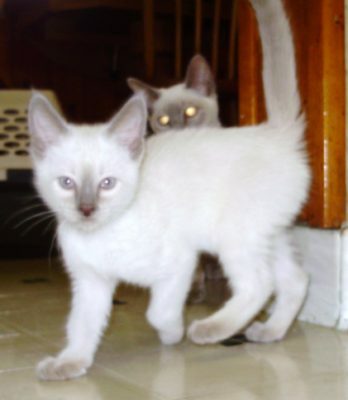 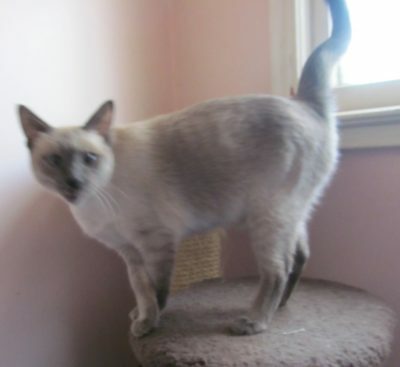 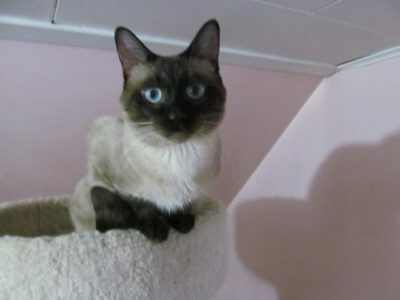 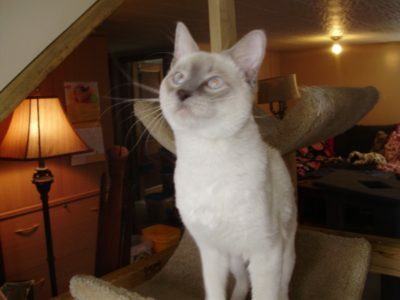 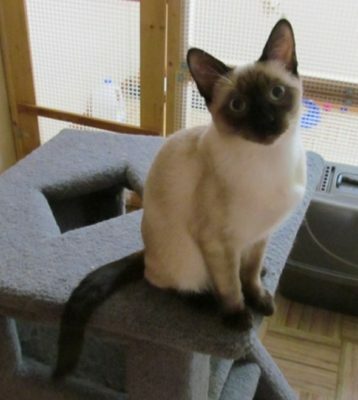 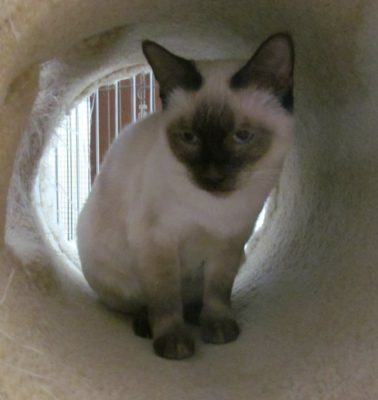 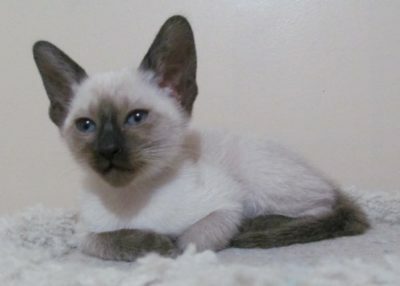 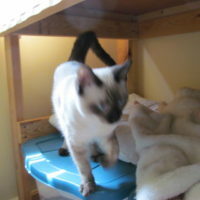 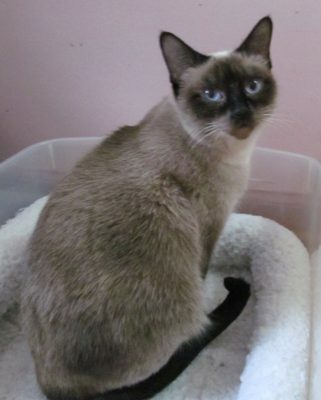 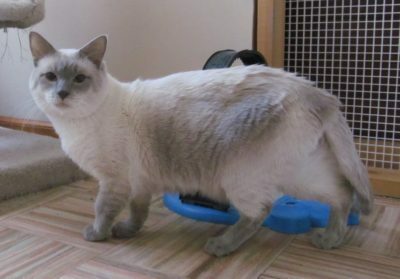 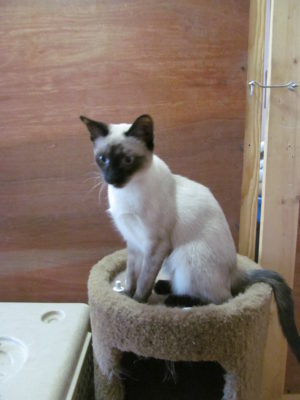 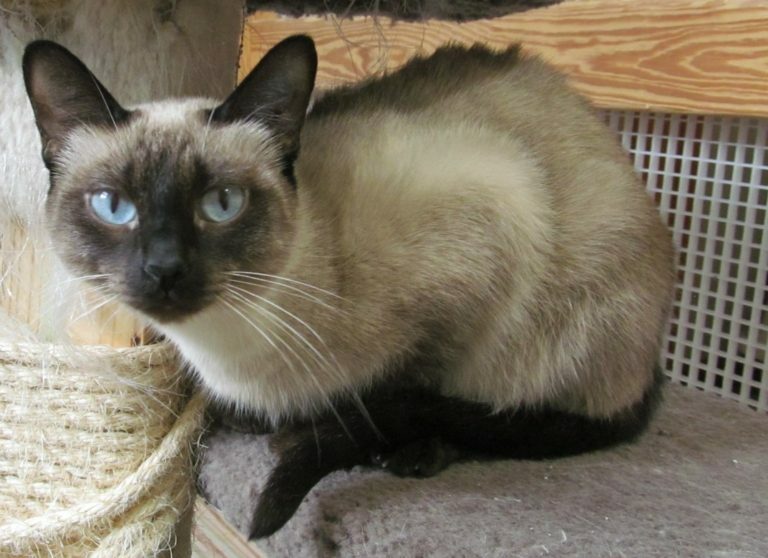 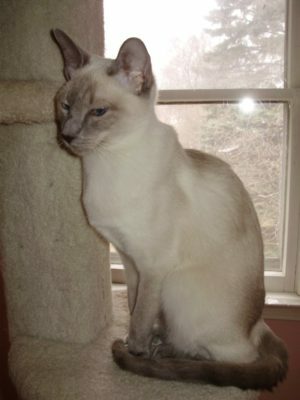 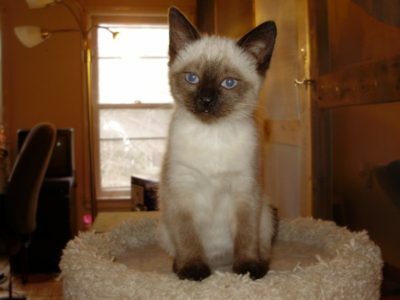 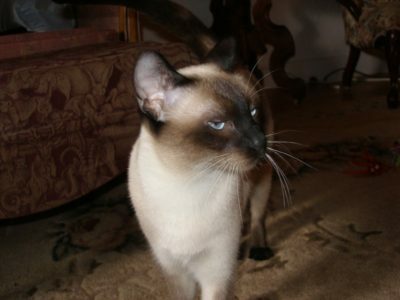 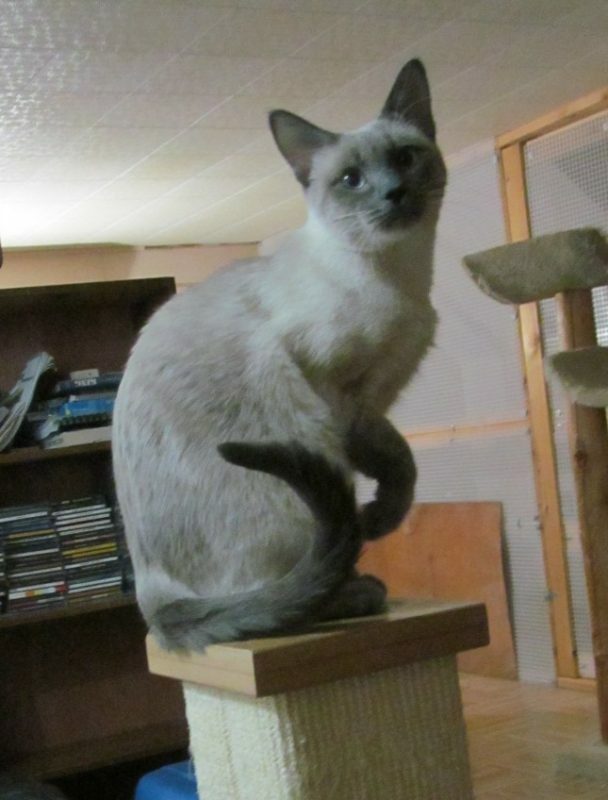 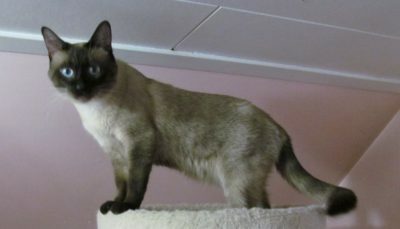 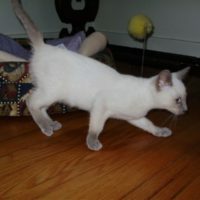 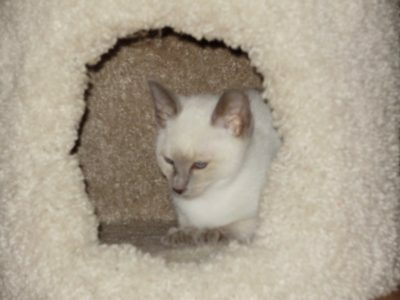 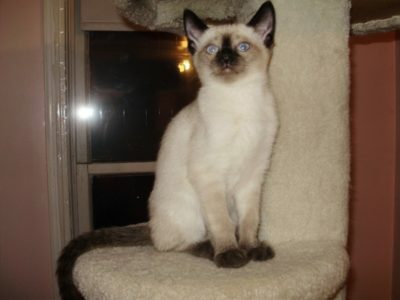 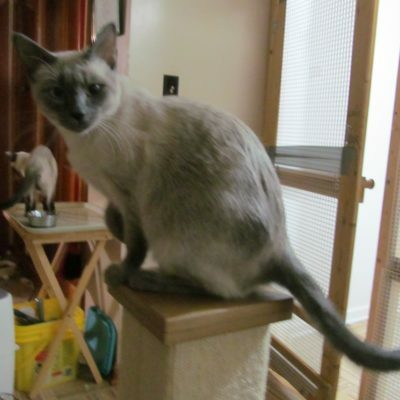 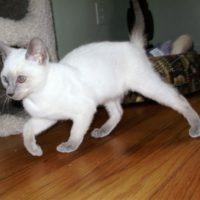 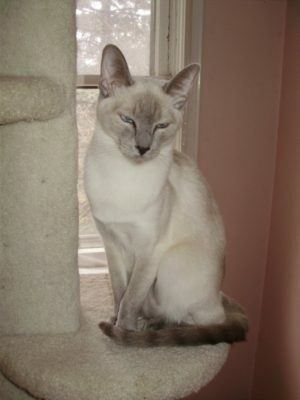 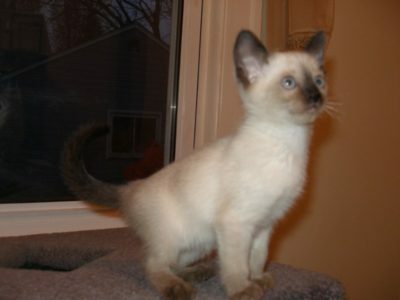 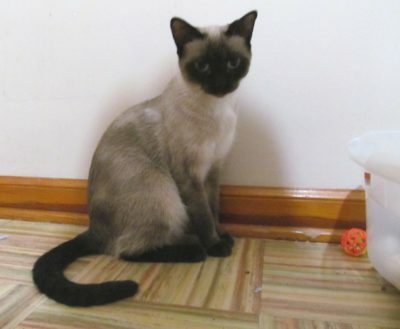 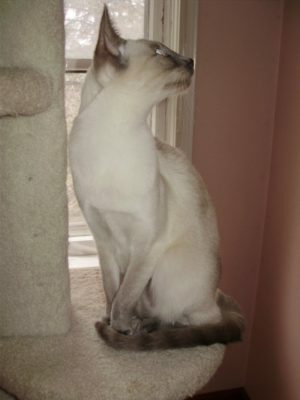 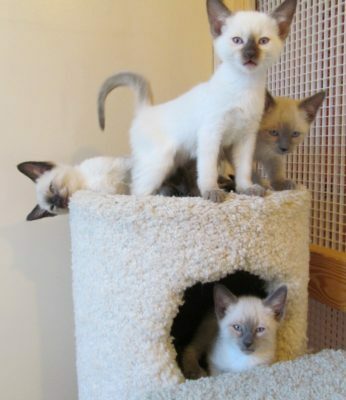 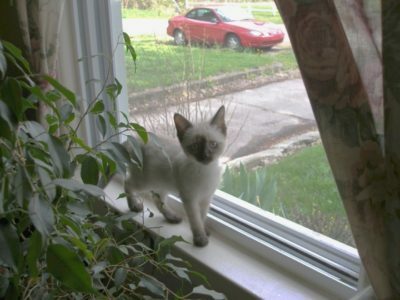 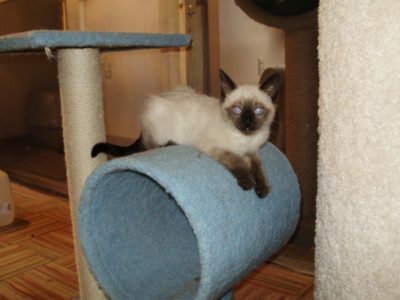 Willow is a Classic Seal Point Siamese and a sweet little soul. 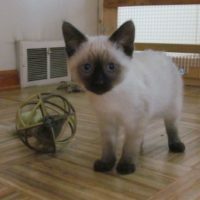 Willow talked to me and wanted my exclusive attention at 2 weeks old. 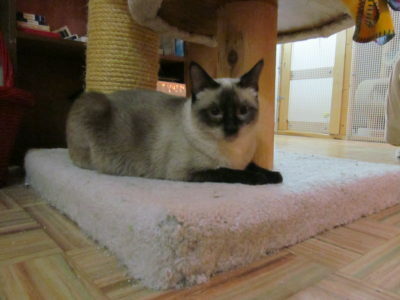 She is a Seal Point from a Lilac mother and Seal father.